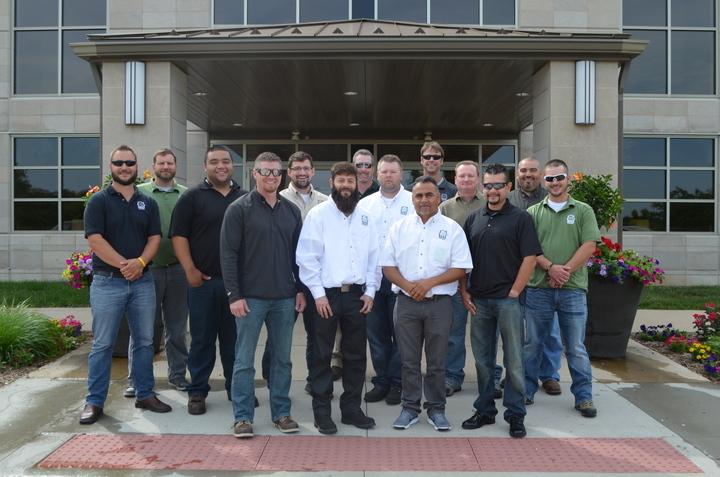 In June, Wright Tree Service (WTS) held its weeklong General Foreman School (GF School). Fourteen field employees gathered at the corporate office in West Des Moines, Iowa, for GF School. Attendees participated in various trainings and presentations to learn more about elements that affect their jobs as employees of the company, such as accounting, safety, risk, human resources processes and procedures, payroll, bids and contracts, fleet, marketing and communications, and more. Several corporate office employees and departments present throughout the week to provide each attendee with information to help them do their jobs. Local Department of Transportation (DOT) officers, policemen and equipment manufacturers also present on safety-related issues and inspection processes. The goal of GF School is to always provide valuable information on how to be an effective manager and leader while learning current industry best practices and regulations. Whether you’ve been in your role for a few months or for years, there is always something new for attendees to learn. GF School is a great opportunity to network with other employees and learn what is working with their crews and what’s not. Congratulations to all participants! We look forward to the next GF School in October.